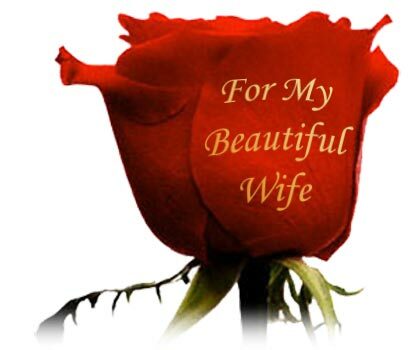 Make your own web page with dedications of love for your sweetheart by simply filling out a form. Write an entire page of meaningful loving words. What would you say if you were dedicating a love song on the radio to her/him now? Do you want to communicate how special your loved one is to you? What do you cherish most about your partner? What makes her or him unique to you? Please keep in mind that the provided link will be a public link to your own web page and anyone can see it. After submitting, you will receive a unique link to your own web page that you can share with your beloved through an email, ecard, cell phone text, Facebook, Google+, or tweet to make her/his day. Share your personalized dedication of love using this Love Messages form. Include up to 4 photos in your dedication to express yourself. Use dedications of love as a unique surprise for your partner. Every moment I spent with you is a treasure for life... these 20 years feel like just yesterday when we first met at church grounds… you stole my heart... life continued to move on... but every turn I thought of you and always wondered what went wrong and there was this question which always kept ringing like a bell… Do you feel the same? Or was it just one way ?? … Only to know GOD had great plans… we are here again together and to know you too feel the same... worth the long wait. Your birthday has been so close to my heart… unknowingly celebrated it every year with the most special person in life and now this continues… Not a day goes by that I don't thank God for you. You truly are the love of my life, and you deserve the best in everything today and always. You are my soul mate, my partner and trusted friend. I can't imagine how my life would be without you.